Editor. Cosmopolitan Endeavours. Special issue of Women’s Writing. 27. 2 (forthcoming 2020). “Lessons of Skin: Solidary Cosmopolitanism.” Cosmopolitan Endeavours. 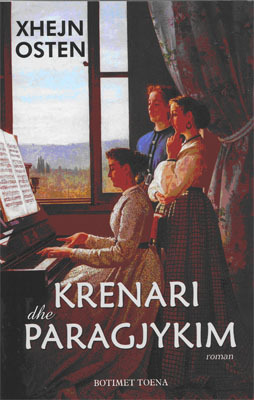 Special issue of Women’s Writing. 27. 2 (forthcoming 2020). “A Mixed Welcome: The Critical Reception of Mary Wollstonecraft.” Research Companion to Romantic Women Writers. New York and London: Routledge (accepted; forthcoming 2019). “Mary Wollstonecraft’s ‘Love of Mankind’ and Cosmopolitan Suffering”. Studies in Romanticism (accepted; forthcoming spring 2019). Author. Jane Austen: Northanger Abbey and Persuasion. London and New York: Palgrave Macmillan, 2016. Editor. 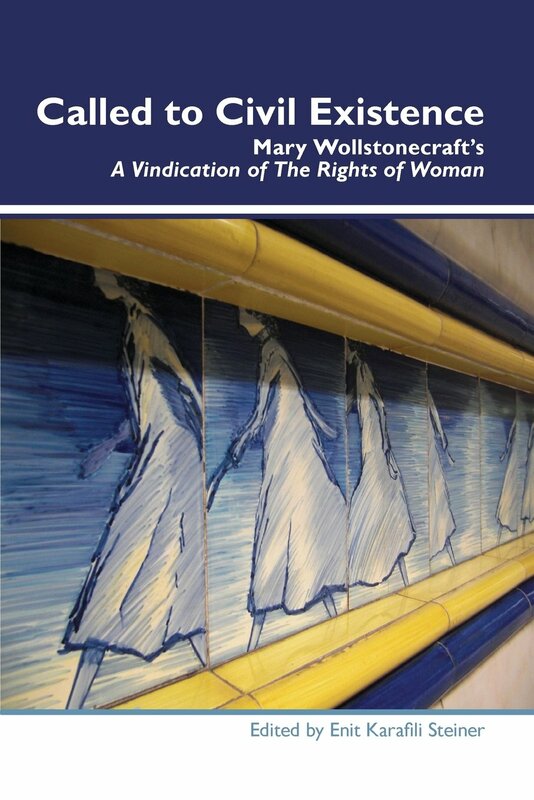 Called to Civil Existence: Mary Wollstonecrafts’ A Vindication of the Rights of Woman. New York and Amsterdam: Rodopi, 2014. Mary Wollstonecraft’s Rights of Woman (1792), a continuation of her earlier Vindication of the Rights of Men (1790), was the first feminist treatise to emerge within a broader context of liberationist human rights theory. Rights of Woman remains, however, relevant and instructive.The essays included here show that Wollstonecraft’s legacy is still with us today as the balancing act between a society where sexual distinction translates into gender prejudice and a utopian order where sexual difference ceases to be a structuring element of social, economic and political bias. Engaging Wollstonecraft’s famous argument from a variety of critical perspectives, a range of contemporary scholars offer new trajectories in this volume for the study of Wollstonecraft’s historic work and its relevance to our time. Editor. 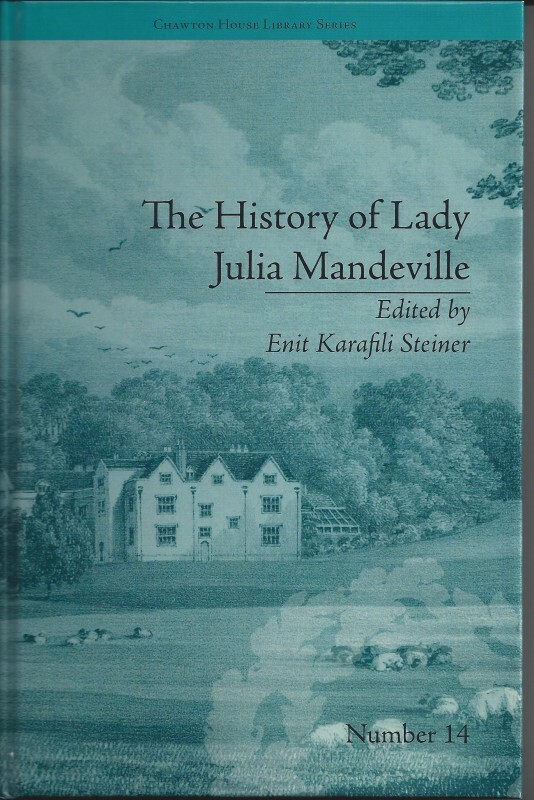 The History of Lady Julia Mandeville. By Frances Brooke. London and New York: Routledge, 2013. 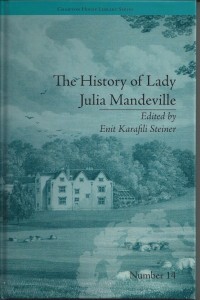 Published in 1763, The History of Lady Julia Mandeville was Frances Brooke’s first and most successful novel. Prior to the publication of her own work, Brooke was well known as the translator of Marie Jeanne Riccoboni’s Lettres de Milady Juliette Catesby à Milady Henriette Campley (1760). Engaging with several political and aesthetic issues of the day, Julia Mandeville considers forms of education, prescriptive gender roles and the institution of marriage. This epistolary novel contains seventy-seven letters, written predominantly by the witty widow, Lady Anne Wilmot and by the hero of the novel, Harry Mandeville. Although generally considered as a specimen of the sentimental novel, Julia Mandeville responds to and critiques the genre, displaying the influence of Rousseau’s Emile (1762) and Julie (1761) as well as Richardson’s Clarissa (1748). This modern critical edition offers an introductory essay on the text, endnotes, textual variants and appendices containing contemporary reviews and some of Brooke’s other writing. Author. 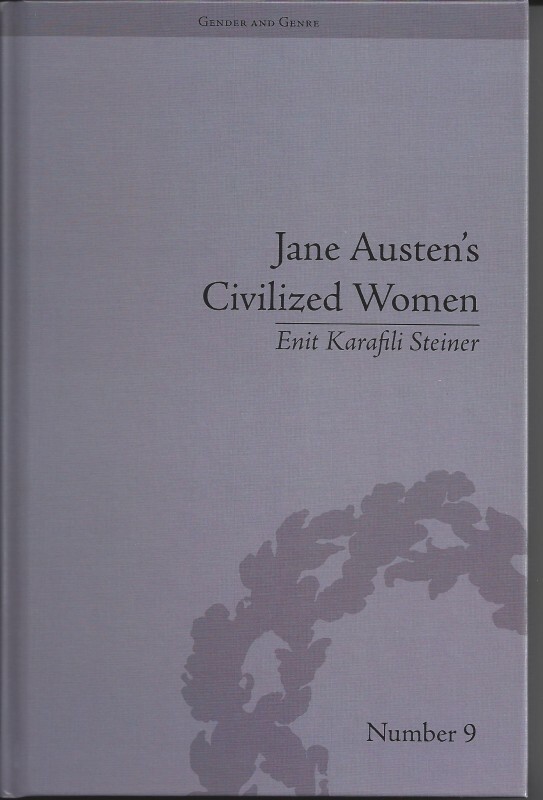 Jane Austen’s Civilized Women: Morality, Gender and the Civilizing Process. London and New York: Routledge, 2012. Jane Austen’s six complete novels and her juvenilia are examined in the context of civil society and gender. 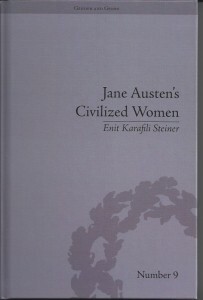 Steiner’s study uses a variety of contexts to appraise Austen’s work: Scottish Enlightenment theories of societal development, early-Romantic discourses on gender roles, modern sociological theories on the civilizing process and postmodern feminist positions on moral development and interpersonal relations. Austen is presented as a writer who not only participated in late eighteenth-century debates, but who is able to address twenty-first-century concerns of a theoretical and practical nature. 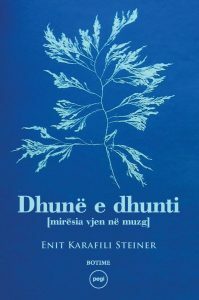 Dhunë e Dhunti (Of Gifts and Violence). Tirana: Botime Pegi, 2017. The Keeper of Lost Things (Original Title: Tokëmjalta). Tirana: Botime Pegi, 2015. 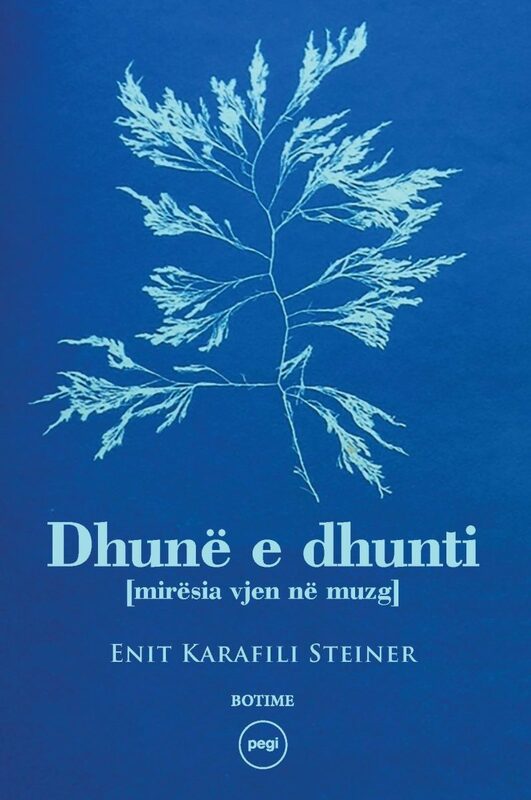 “This novel by Enit Karafili Steiner rises as a dramatic pronouncement against the flow, setting out from the utterly unexpected premise that the good is as omnipresent as the soil; hence, we need not strive to import it, but rather pledge to shelter and nourish it; while evil cannot resist reformation, on the condition that we, like the novel’s characters, remain faithful to each other without compromise until the end.” – Ardian Vehbiu. Krenari dhe Paragjykim. By Jane Austen. A translation with critical introduction and notes. Tirana: Toena, 2008. This translation of Jane Austen’s Pride and Prejudice is the first critical edition of the novel in Albanian, offering an introduction and explanatory notes. 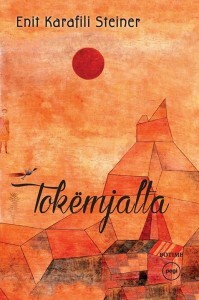 It won the Ada Editing House “Award for Outstanding Translation” in 2010. Residence in Sweden, Norway, and Denmark.” Criticism 61.1 ( 2019): 27-50. “‘Not to Abandon the Whole’: Cosmopolitanism and Management in The Travels of Abu Taleb Khan.” European Romantic Review 29.5 (2018): 657-680.
Review of: Brant, Clare. Balloon Madness: Flights of Imagination in Britain, 1783-1786. Woodbridge: Boydell Press, 2017. Romantik: Journal for the Study of Romanticisms 7 (2018): 169-171. “Expanded, Changed, but Not Weakened: Post-Human Prometheanism and Race in Octavia Butler’s Xenogenesis.” The Challenge of Change: Swiss Papers in English Literature and Linguistics. 2018: 123-142. “’Till He Began to Stagger Her’: Melancholia and Literary Men.” Jane Austen and Masculinity. Ed. Michael Kramp. Lewisburg, PA: Bucknell University Press, 2017. 113-28. “Overcoming Perpetual Estrangement in Persuasion’s Heterotopia.” Anglia: Journal of English Philology 134. 3 (2016): 373-390. 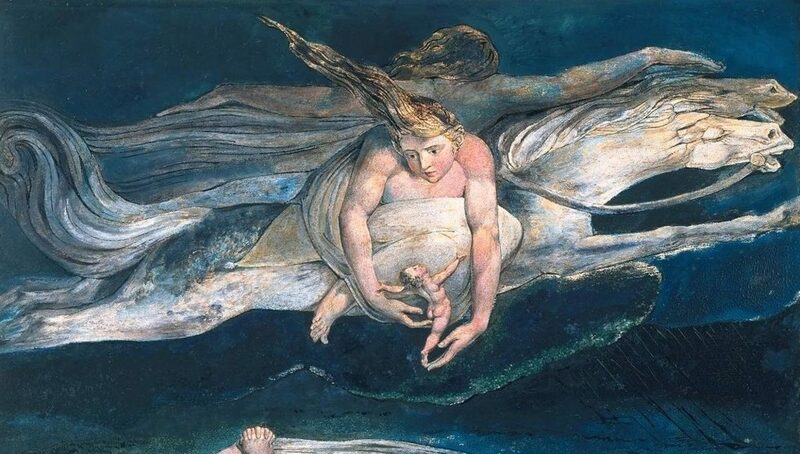 “Romantic Education, Concealment and Orchestrated Desire in Rousseau’s Emile and Frances Brooke’s Julia Mandeville.” Rousseau, Switzerland, and Romanticism. Ed. Angela Esterhammer, Patrick Vincent and Diane Piccitto. New York and London: Palgrave, 2015. 21-37. “Between Cohesion and Reform in Sense and Sensibility.” Women’s Writing 22.4 (2015): 455-471. “Exuberant Energies: Affectivity in Vathek, Zofloya and The Giaour.” Emotion, Affect, Sentiment: Swiss Paper in English Literature and Linguistics (2014): 125-142. “Introduction.” Called to Civil Existence: Mary Wollstonecrafts’ A Vindication of the Rights of Woman. Ed. 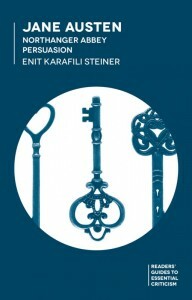 Enit Karafili Steiner. New York and Amsterdam: Rodopi, January 2014. ix-xxiv. “Introduction.” The History of Lady Julia Mandeville, by Frances Brooke. Ed. 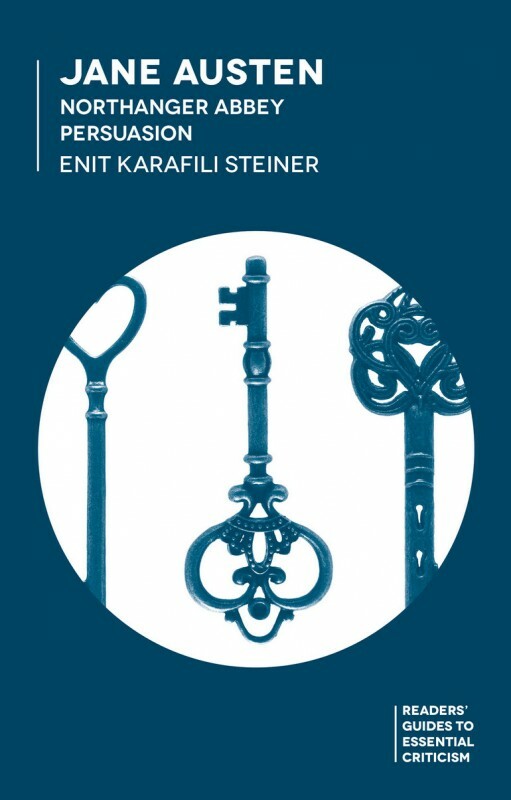 Enit Karafili Steiner. London and New York: Routledge, 2013. xi-xxiv. “Images of Masculinities and the Feminist Inflection.” Männlichkeiten denken. Ed. M. Laubli and S. Sali. Bielefeld: Transcript, 2011. 219-38. “Bodies Playing on the Boundaries in Austen’s Juvenilia.” Figurationen: Körpergrenzen/Body Boundaries. Ed. Therese. F. Steffen. Cologne, Weimar and Vienna: Böhlau Press, 2011. 61-72. “Byron and the Albanians: Unearthing Identities.” Studia Albanica 2. Tirana: Académie des Sciences Sociales (2010): 137-147.
Review of: Karen O’Brien, Women and Enlightenment in Eighteenth-Century Britain. Cambridge. Cambridge University Press, 2009. Variations (2010): 160-161. “Jane Austen: A Woman’s Place in the Civilizing Process.” Clark Memorial Library Newsletter 45 (2007): 5-6. “Xhejn Osten: Prozatorja britanike që barazohej me Shejkspirin.” (Jane Austen – the Shakespeare of prose) Telegraf. 5 Februar. Tirana (2007): 15-17. “Harmoni dhe Zgjim.” (Harmony and Awakening) Telegraf. 26 März. Tirana (2007):16. “Le carrefour mussetien: entre idéal et corruption. Le motif du masque dans l’œuvre d’Afred de Musset.” (Master Thesis, Zürich, 2003).